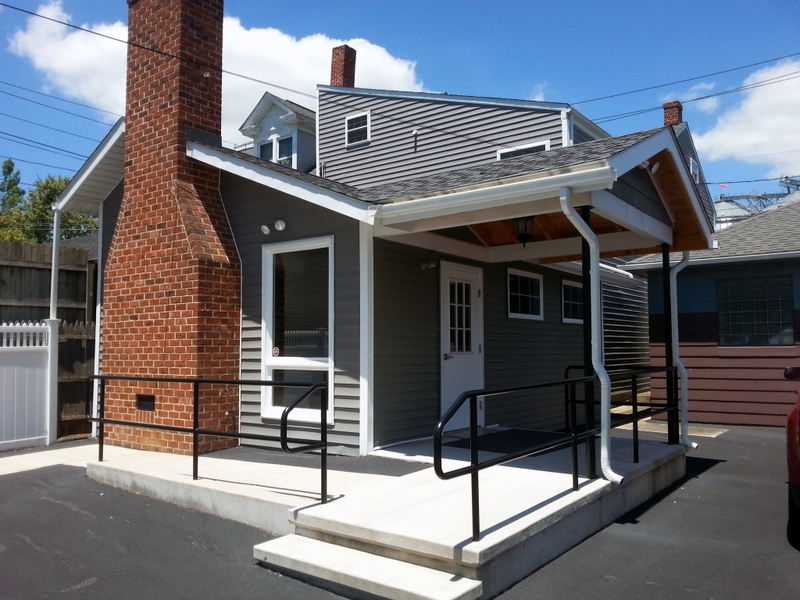 The Sheetz Reception Center opened in 2016 and it is available for use by community groups, organizations, businesses or families in our area. Built in 1838 by the Wallick family, the house was constructed in the Greek revival design and featured three floors and 4 bedrooms. In 1976, the late Dr. Thomas and Mary Ellen O’Connor added the fireplace and sunroom, now used as the main entrance. The Reception Center has been a long anticipated business vision of the Sheetz Family. They are pleased to present this venue to our community in honor of their parents Mary H. Reich Sheetz and the late Gerald R. Sheetz, a proud WWII 1st Marine Division veteran, history enthusiast, and a student of Mount Joy history. 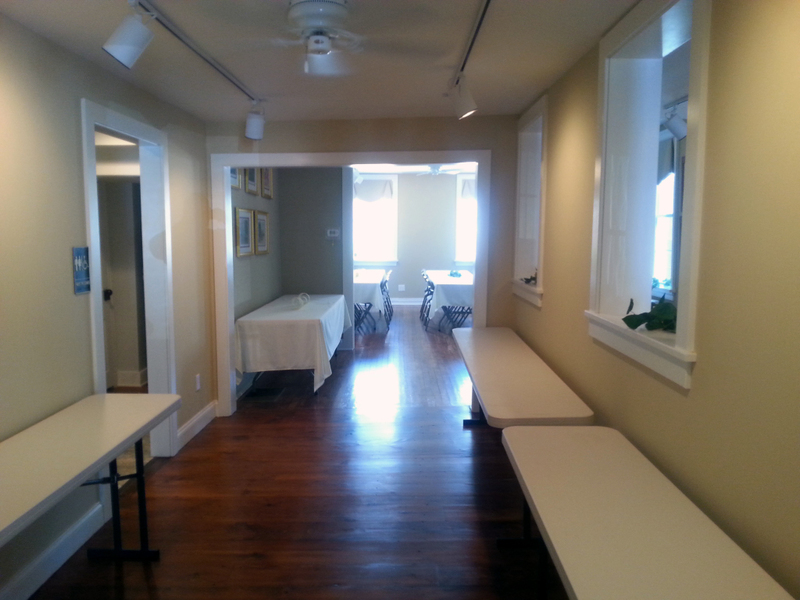 The Sheetz Reception Center has table seating for 60 guests and a total of 80 chairs. All food must be catered and or supplied by the guest user. The Center features a food prep area, refrigeration, and a kitchen sink for clean-up. 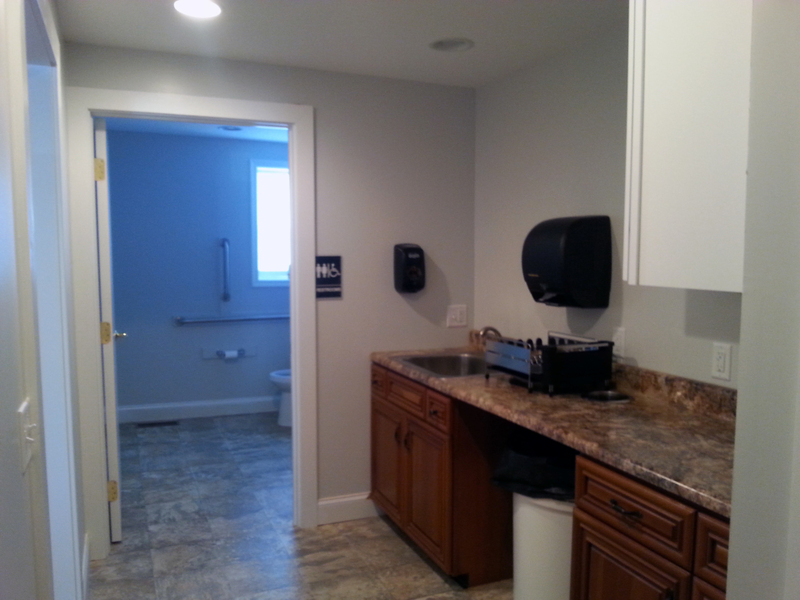 The entire facility is handicapped accessible including restrooms. 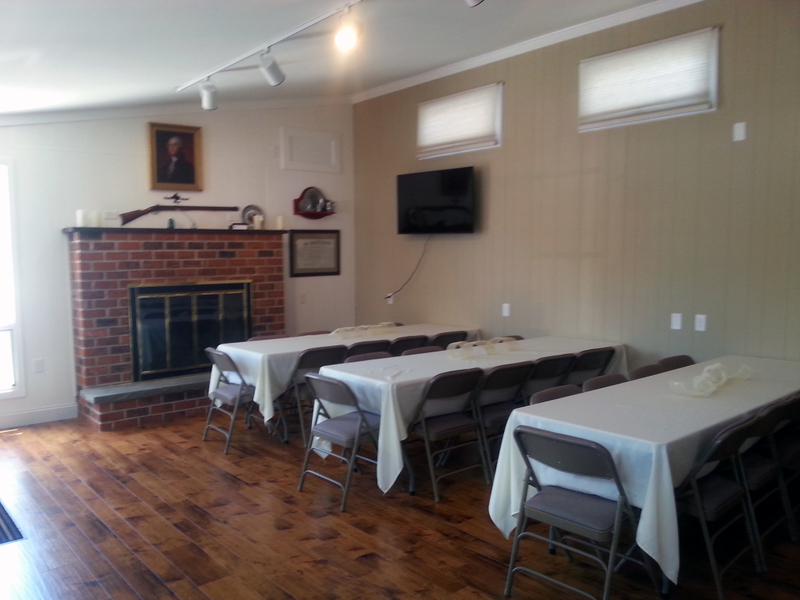 The Community Center has also been outfitted with ample electric outlets in the food serving area to accommodate crock pots, roasters, and heated appliances. 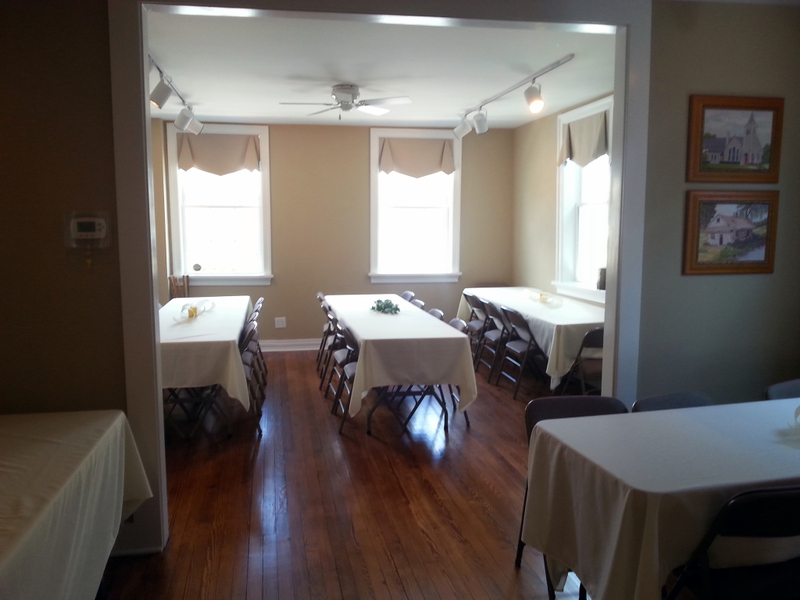 Linens will be provided for the tables. 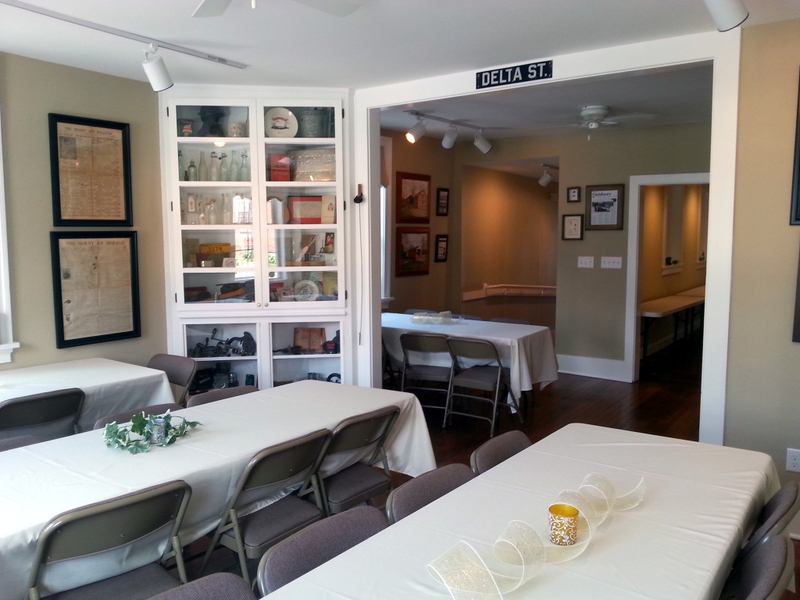 The center hosts an historical theme focusing on the birth of or our great nation. On display are replicas of the 1776 Declaration of Independence, the 1787 United States Constitution, and the 1791 Bill of Rights, as well as many other deeds and historical documents from Lancaster County. 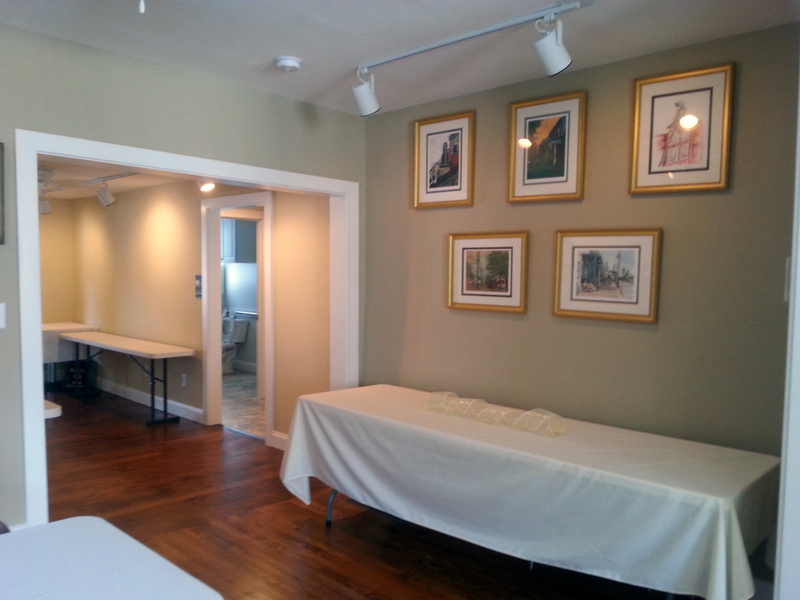 An area of the center has also been designated to display the works of local artists including those of Rebecca H. Sheetz, Pete Foley, and others. The center also features manufactured items from Mount Joy, Florin, Marietta, and Rheems. This collection includes rare axes and wood shavers made by the Brady Manufacturing Co, formerly located on the corner of Main and Manheim Street. Historical artifacts from other prominent foundries including The Grey Iron Manufacturing, Rollman Manufacturing, Wilton Foundry, and the Marietta Foundry. Early newspapers adorn the walls, and countless advertising novelties are displayed in the cabinet. Also displayed are the many books written by the late local historian, Vera Albert, without whose help and inspiration this project would have never been accomplished. A sincere thank you to Vera and her family.